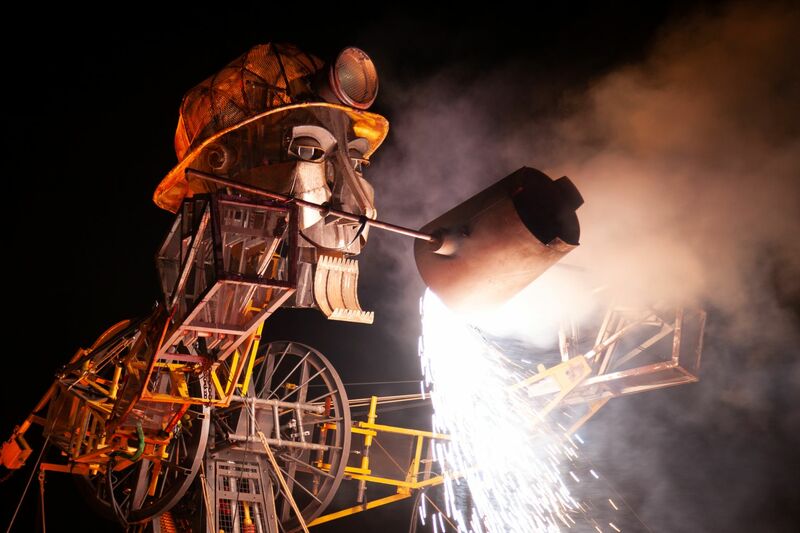 The Man Engine visited the Copperworks site for a hugely spectacular finale to the 5-day tour of South Wales. Over 6000 people attended the finale and over 40,000 for the entire tour. The Hafod-Morfa Copperworks spectacular celebrated 300 (and one) years of copper smelting in the Lower Swansea Valley.